Instagram Co-founders Kevin Systrom, and Mike Krieger, have decided to resign from the platform. They will be officially leaving in the coming week. An inside source noted the team was beginning to lose autonomy with the recent re-org, putting Chris Cox in charge of Product, which may have lead to the decision. This week, news broke about the release of Facebook’s new smart speaker/video chat device, ‘Portal’. This device will be a direct competitor to the Amazon ‘Echo Show’ and will supposedly look very similar as well. According to a report by Cheddar, the device will come in two screen sizes and cost either $400 for the larger size, or $300 for the small one. The device will allow users to video chat, get news updates, play music, watch videos, and more. The belief is that this product is out of Facebook’s building 8, which is a top-secret R&D facility for hardware products. 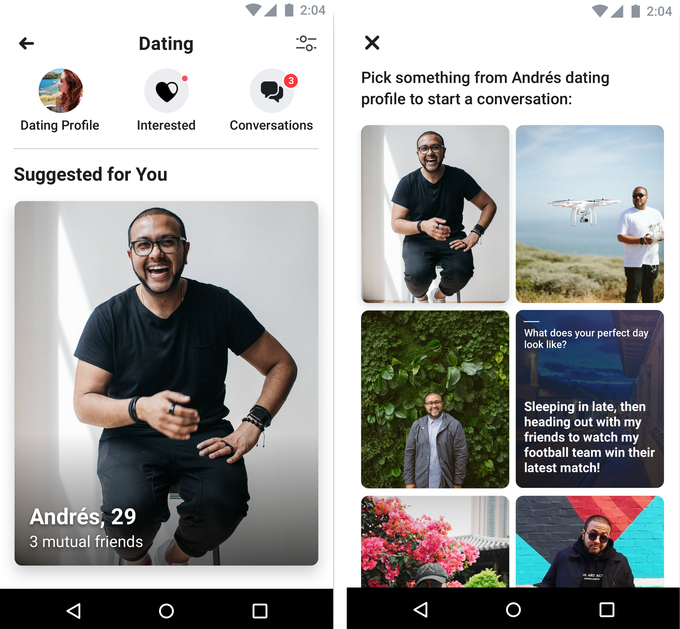 Facebook has released the first major test of its new dating site and matchmaking functionality by going live nationwide in Colombia. The initial tests came with some restrictions, limiting the number of profiles users can express interest in, and not allowing photos to be included in Facebook dating messages. The release had a major impact on other sites such as Tinder, OKCupid, and Match.com, with some of them seeing a 20% drop in stock value. The new courses will include a breakdown of Instagram Business, a creative workshop to help marketers “bring their stories to life”, and information on setting buying objectives. We have all seen the Instagram posts which have 30 hashtags in the caption. This has been a common strategy of marketers on the platform since its inception. However, according to a post by Code Hacker Jane Manchun Wong, Instagram may be releasing an update to this. From the screenshots she released, it appears Instagram will be adding the ability to include hashtags outside the main caption. While the company has not released an official statement on this matter, this has been a commonly requested feature for many years and is a likely addition. “Now you can message your friends with GIFs in Instagram Direct. From “LOL” to “I love you,” you can express yourself in countless visual ways when you’re messaging your friends. There will also be a “Random” setting, which will allow users to send a random Gif associated with what they searched. Twitter Adds Ability to Watch Videos In Full Screen While Tweeting. You can you see by the tweet below, Twitter has made it easier to use the platform and watch videos at the same time. Twitter users will now be able to interact with tweets while watching a video in full-screen mode. On Monday, Twitter discovered that an API Bug may have been sending private user data to unauthorized developers. The team released the following message about the incident: It is worth noting that there have been no reported cases of data misuse from the error. This discovery comes at a critical time when the social platforms are under a microscope. Many have begun greatly restricting developers API access in the wake of the Cambridge Analytica scandal. 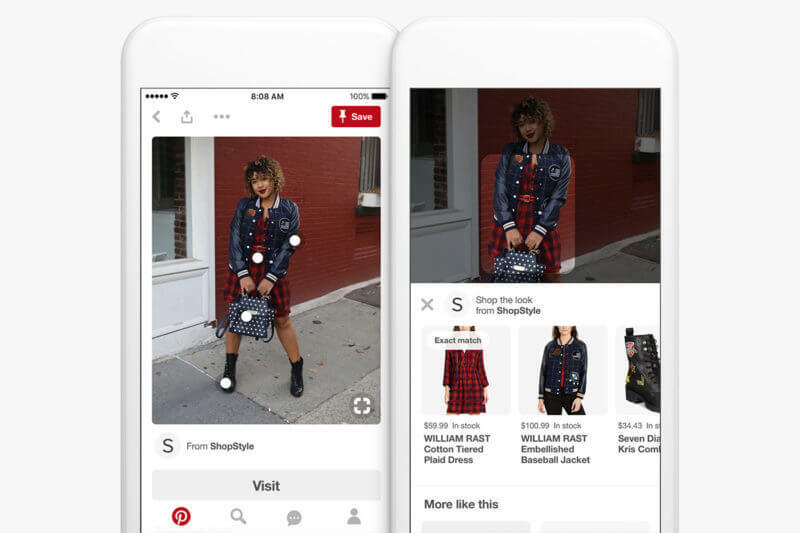 Pinterest has expanded the ‘Shop the Look’ e-commerce option to all businesses types. Historically, the options were only available to specific large companies, hand selected by the platform. While they did increase access earlier this year, the option was still limited to a select business segment. The company hopes to take advantage of its rapidly growing user base and the 250 million current active users. Users can use Snapchat’s camera to scan a barcode or a physical product to see an Amazon preview to purchase that item. The preview includes the product title, price, image, review score, and prime availability. This announcement comes shortly after Instagram and Pinterest added in-app shopping. The feature is being rolled out to a small percentage of U.S. users before it is considered for other countries.